Endless green meadows, pine-scented forests, sparkling brooks, clear alpine lakes, and Himalayan peaks all around – the Dayara Bugyal trek is perfect for those longing for fresh air and pure, untouched nature. 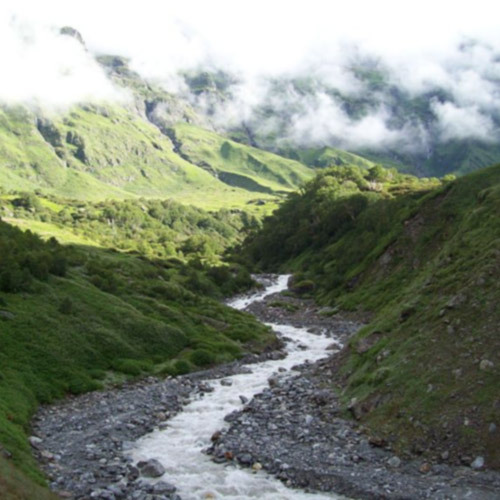 The Dayara Bugyal trek is considered to be one of the most beautiful treks in Uttarakhand. It is a high altitude meadow that lies at 11,100 feet. The meadows cover an area of 28 square kms, which means you’ll have spectacular views and open space in all directions. In the summer, these meadows are lush with sweet grass and dotted with wildflowers. During the winters, when the snow has covered the ground, these meadows are perfect for snowy trails. On this trek, you’ll see famous peaks like Kala Nag, Bandar Poonch, the Gangotri Massif I and II, among others. Most Dayara Bugyal trek itineraries include a pick-up from Dehradun, from where you’ll be driven to the start point. The trek usually begins at Barsu, a small village about 6 hours from Dehradun. Over the next day or two, you’ll trek towards Dayara Bugyal, hiking through pretty forests to the open meadows at the top. 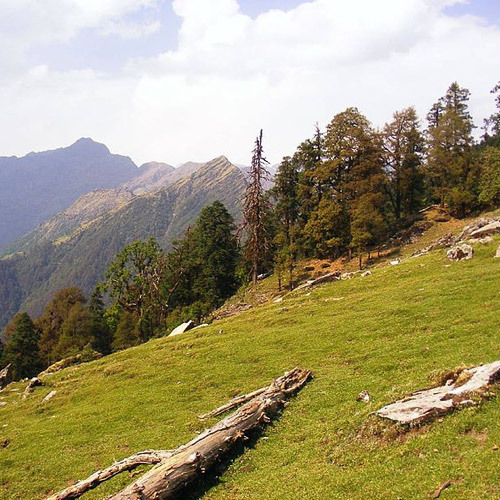 You’ll have plenty of time to explore the many meadows on this trek, and will return to Dehradun about 4-5 days later. The best season for this trek is April to May but it can be undertaken all year long, except during the monsoon. In summer the days are warm and sunny and the meadows are at their greenest. The pine forests look like they are straight out of a fairy tale. Gurgling brooks and gleaming alpine ponds dot the landscape, but the highlight is the sprawling green meadows. 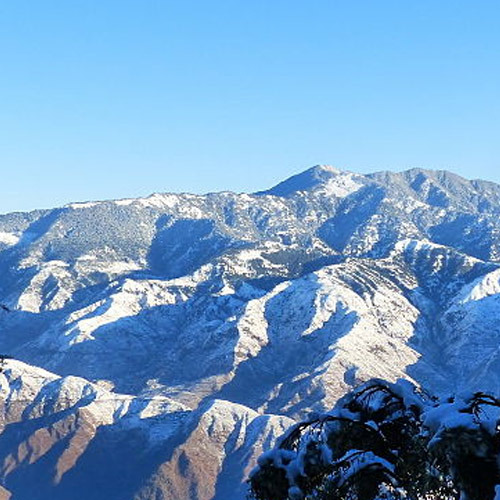 Dayara Bugyal is also one of the best winter treks in Uttarakhand. During these months, the meadows are covered with a blanket of snow, with day temperatures range from 11 degrees Celsius to 4 degrees Celsius, and night temperatures dropping to -2 degrees Celsius to -8 degrees Celsius. 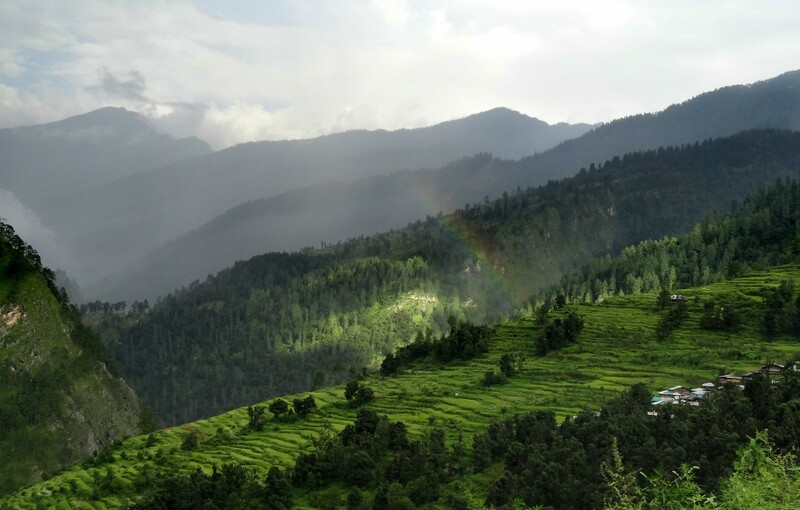 If you’re going to Uttarakhand, you should read our blog on Top Things to do in Uttarakhand. This easy trek takes you up to one of India’s most beautiful high-altitude meadows, surrounded by towering Himalayan peaks, and offers you the chance to camp in scenic locations at every stop. The trek is recommended for everyone, including beginners, families with children, nature lovers and adventurers alike. 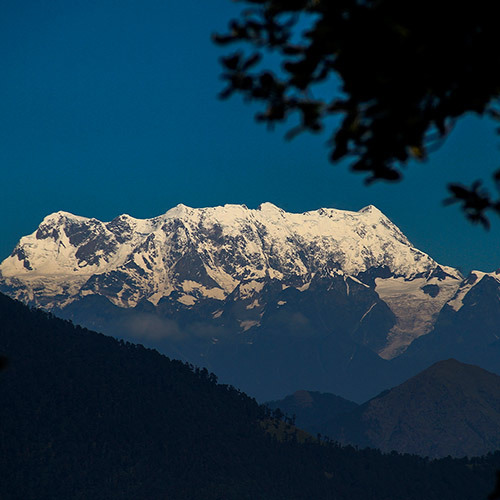 Read our blog to find Easy Snow Treks in India. The Dayara Bugyal trek is one of the most rewarding adventures you can go on. 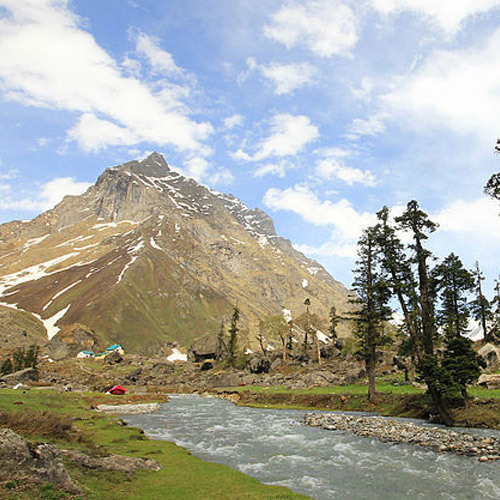 It’s an easy trek to one of India’s most beautiful high-altitude meadows, surrounded by towering Himalayan peaks, and offering you the chance to camp in scenic locations at every stop. The meadows are filled with lush green grass, dotted with charming brooks, mountain wildflowers, and clear skies above. You’ll never want to come back! NOTE: A minimum of 4 travellers are required to book this trek to Dayara Bugyal. 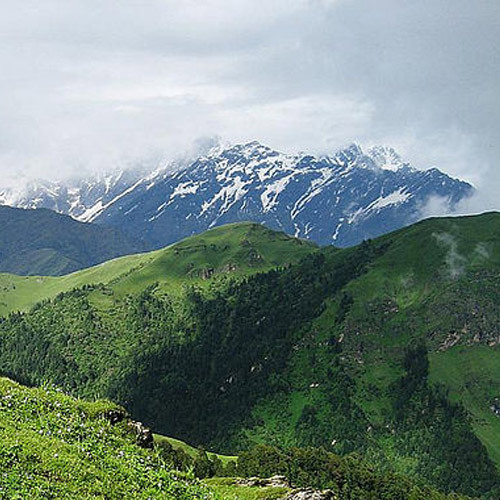 Considered as one of the most scenic treks in Uttarakhand, this trek takes you to the lush green meadows of Dayara Bugyal. As you make your way up, you'll see beautiful valleys dotted with wildflowers, sparkling streams running past, and woolly sheep grazing in grassy highlands. Plus, being a high altitude meadow, it also gives you a chance to camp in a campsite that is surrounded by some of the most dazzling snow-capped peaks! The Dayara Bugyal trek is an easy one, and is suitable for beginners. 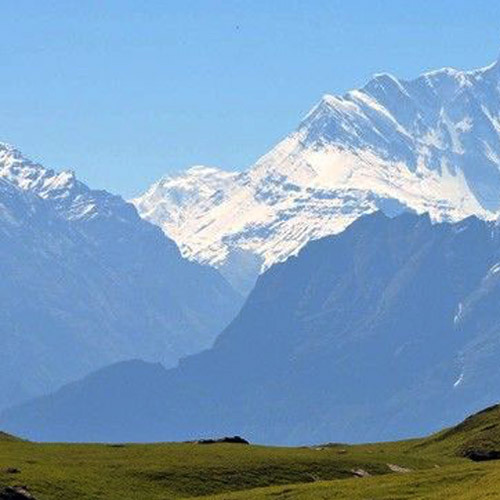 This Dayara Bugyal trek is filled with wonderful landscapes and gorgeous views. You'll walk through green meadows with endless views of soft sunrays lighting up the Himalayan peaks around you. You'll climb up through India’s most beautiful high-altitude meadows, surrounded by towering Himalayan peaks, stopping to camp in scenic locations at every stop. The meadows are filled with lush green grass, dotted with charming brooks and mountain wildflowers, with clear skies above. From November onwards, the slopes are covered with a blanket of snow, turning into a paradise for snow trekking and skiing. This trek to Dayara Bugyal is mostly comfortable, except for a few steep sections. Any costs arising out of unforeseen circumstances like landslides, roadblocks, bad weather, etc. What is the packing list for the Dayara Bugyal trek? Do make sure you have comfortable trekking shoes and a sturdy backpack. In all seasons, you will need to dress in layers and use a warm jacket and thick fleece, but in winter, you will also need thermals and waterproof gloves. You will be provided with a complete list of equipment and clothing by your operator, so do make sure you go through that carefully while packing. Can first timers do the Dayara Bugyal trek? Yes. The Dayara Bugyal trek is one of the easiest treks in Uttarakhand and is suitable for beginners and families. You should be prepared to trek for 4-6 hours each day. 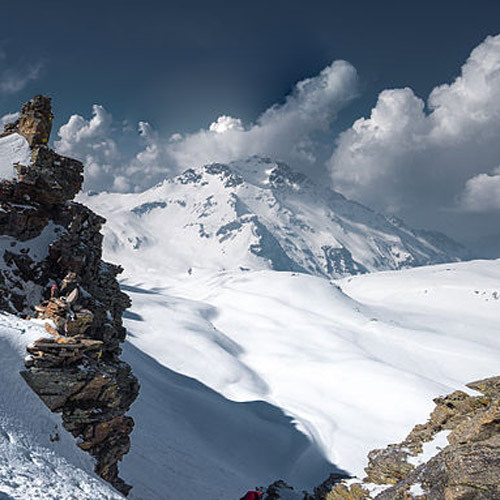 In the winter, the trek becomes marginally more challenging, but this is still considered an easy snow trek. How do I reach the Dayara Bugyal trek? 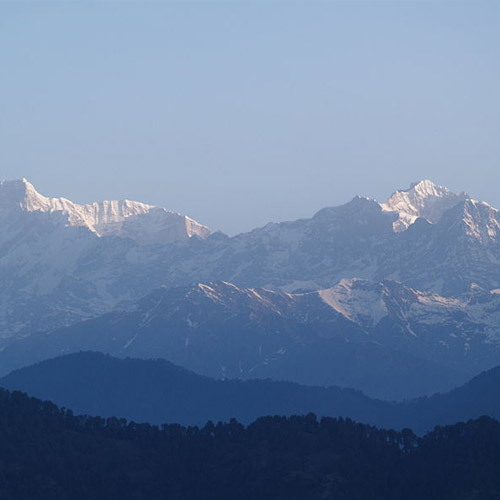 Most trek itineraries begin with a pick-up from Dehradun. You’ll have to book your own tickets from your home city to Dehradun, and your accommodation there. The operator will arrange your transport from Dehradun to the start point of the trek and back again. What is the best season for the Dayara Bugyal trek? This trek runs almost all year round, except during the heavy rains. The best season depends on what you want to experience: a glorious summer trek in the Himalayas, with warm days and pleasant nights, and greenery all around OR a spectacular snow trek with semi-frozen ponds, snowy peaks and stunning vistas everywhere.